Dazzling and elegant, this outstanding Leia Rhinestone Necklace Set is the perfect complement to any ensemble. 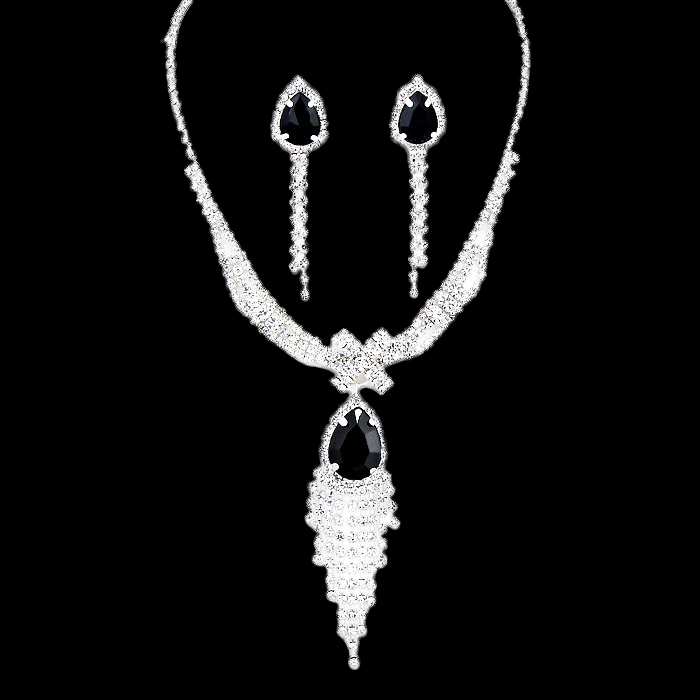 The necklace is embellished with glistening white stones and has a teardrop-shaped black rhinestone with crystal danglers. Matching earrings. If you love evening costume jewellery make Oz Bling your one stop online shop for all styles, fun, formal, chic and unique!.